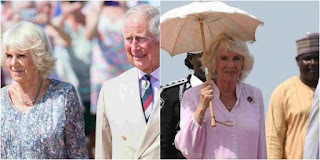 Nollywood news + Naija Gist | Yoruba movies, Naijagist, Nigerian music, Naija news, Nigerian movies: Prince Charles and Wife, Camilla spotted in Lagos. 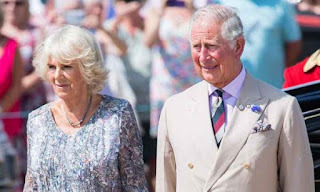 Prince Charles and Wife, Camilla spotted in Lagos. Prince Charles of Wales, the eldest child of Queen Elizabeth II is currently in Lagos, Nigeria for an Official assignment and was received by the Deputy Governor of Lagos State, Mrs Idiat Adebule at the Murtala Muhammed Airport amid tight security. He arrived alongside his Wife, Camilla. More photos below..